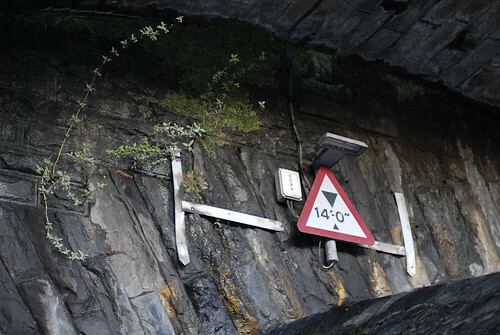 Posted by Stuart Herbert on June 18th, 2010 in Modern, Photos, Pontypridd, River Rhondda, Shoot, Taff Vale Railway (Modern-day Valley Lines). 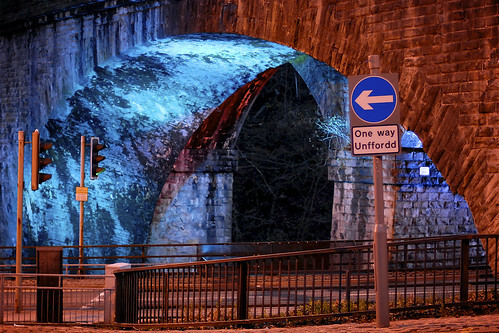 The Chain Link Arches were a public art installation beneath Brunel’s impressive viaduct across the River Rhondda in Pontypridd in 2010. 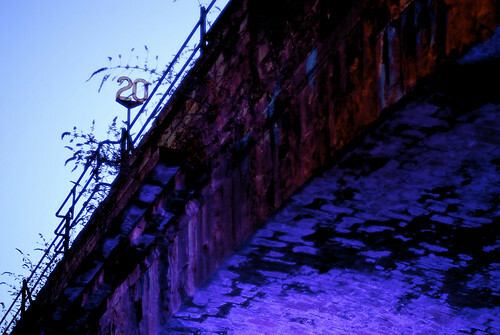 Consisting of coloured floodlights that lit up the underside of the arches as dusk turned to night, they made a somewhat eerie sight. Unfortunately, I’ve been unable to find out anything more about this piece of art. If you know who the artist was, when it was first installed, and when it was finally removed, I’d love to hear from you in the comments below! 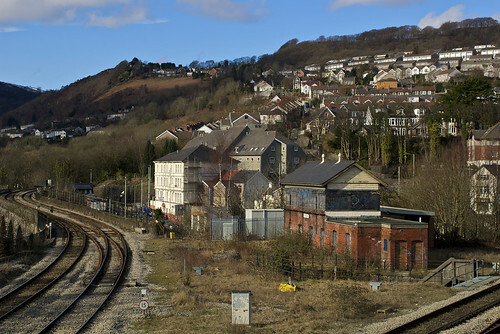 Posted by Stuart Herbert on June 16th, 2010 in Modern, Photos, Pontypridd, River Rhondda, Shoot, Taff Vale Railway (Modern-day Valley Lines). 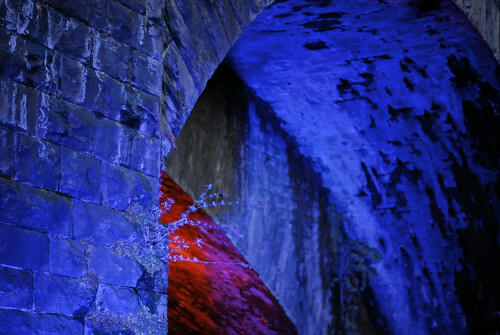 The view from Mill Street, Pontypridd, looking up at one of the TVR bridges built by Brunel in 1840.